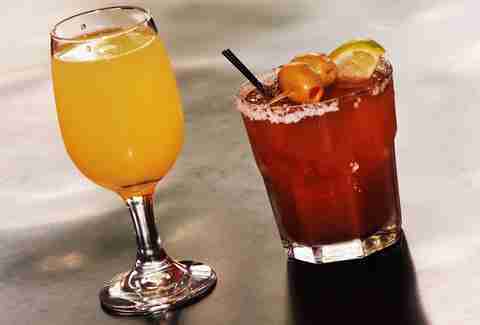 Everyone runs at their own speed when it comes to drinking. Whether you’re looking for a fancy cocktail, a local craft beer, or just feel like sipping on a well-aged Scotch, there’s a Dallas bar that has you covered. While many drinking establishments come and go, these recommended selections in our latest feature, Beverage Director, are perennial powerhouse bars that are evergreen. No matter what you are craving, these local haunts have you covered. 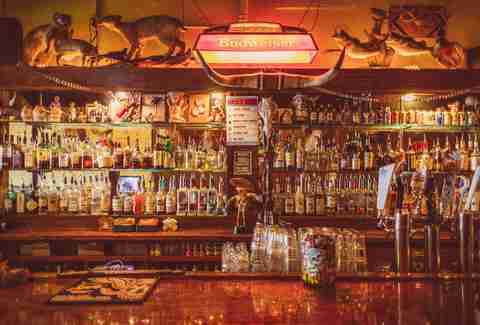 This music venue, bar, and restaurant is a home away from home for urban cowboys who want to enjoy a craft beer or cocktail, grab a bite to eat, and enjoy some of the hottest in red dirt and Americana artists. There may even be beer-can chicken in your future if that's what you're feeling. The Lower Greenville twin of Doublewide took the kitsch of the original bar but added a very important ingredient: locals. Anyone who lives in East Dallas, the M Streets, or Deep Ellum knows that this is the place to congregate. This small bar serves up traditional cocktails and a wide selection of local beers to sip while sitting on the patio and making friends in the neighborhood. 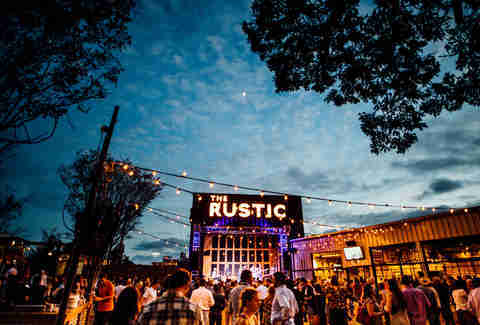 Easily the best place to party on Lower Greenville. Brought to you by the same folks who run Ten Bells Tavern in the Bishop Arts District, this gastropub continues the obsession with local craft beers established at Ten Bells. 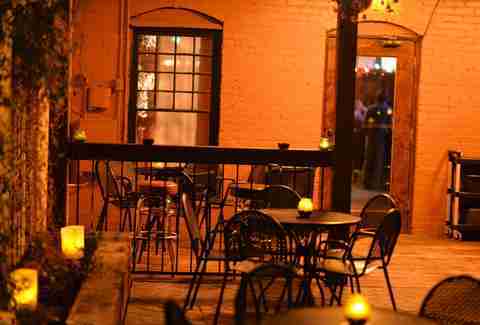 Directly across from Fair Park in Exposition Park, this bar offers a scenic European style back courtyard where one can sip a porter or stout with friends and get plenty of fresh air. In a world full of ultra lounges and trend chasing nightclubs in Uptown, Stoneleigh P is the constant that rides out the storm. A classic beer and cocktails joint located across the street from the historic Stoneleigh Hotel, this is the bar that could be considered the anchor of Uptown. But unlike the rest of Uptown, there will be no bouncers, cover charge, or terrible dance music on a night you want to rage. 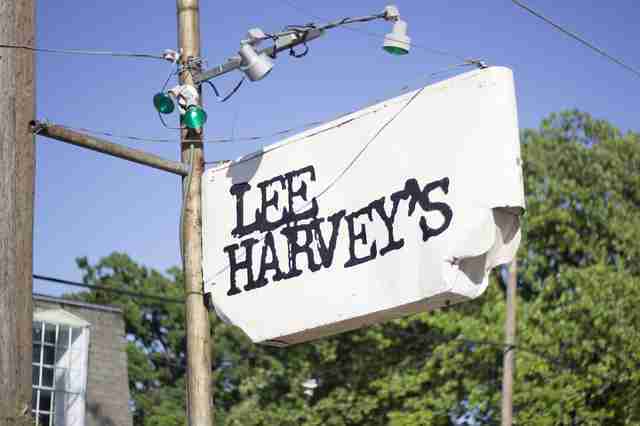 Before the Cedars was the hip new place to live, before dive bars were cool again and before south of the Trinity River was the place to hang out, Lee Harvey’s was the small, mostly outdoor bar that welcomed both you and your dog with a stiff drink and a fire pit already going. Grab a picnic table by a fire pit and enjoy live music as you lounge. For a very long time, 9-to-5 workers in Downtown Dallas had no place to blow off steam after work. Then City Tavern came along and changed all of that. 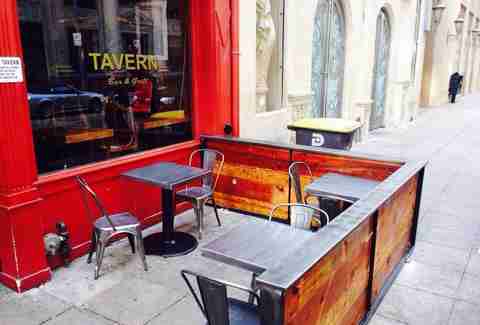 With sidewalk patio tables, booths and a stage upstairs, City Tavern caters to both weekday warriors and music lovers. Plenty of nights, this is the bar that turns into home base for those revelers looking to avoid the dance club scene that permeates downtown. Deep Ellum’s Twilite Lounge was one of the first bars to herald the rebirth of the neighborhood. Inspired by speakeasy-type bars in New Orleans, Twilite Lounge feels like a turn of the century bordello with a great jukebox and frozen Irish coffee or Jack and Coke on tap. Now they are bringing the Big Easy to Cowtown. A longtime favorite of SMU students due to its proximity to campus, the Barley House’s dedication to beers is evident from the minute you walk in. Whether it’s by the pint or by the pitcher, Barley House has all the hoppy goodness you’re looking for and more than a few choices of greasy baskets of food to soak it all up while you watch football. If you’re the type who enjoys cocktail while watching the latest arthouse or blockbuster film, Inwood Lounge is your kind of place. The art deco murals lining this historic film house serve as an ideal setting for cinefiles as well as those who enjoy classic cocktails served in dimly lit dens of cool. Did we mention that the Inwood Theatre is known for screening the cult classic The Room? In a former incarnation, Deep Ellum was known primarily for music venues and all ages dance clubs. But now that the neighborhood has reinvented itself, Black Swan Saloon has become a destination for those who take their spirits seriously. Gabe Sanchez is always cooking up some custom concoction at Black Swan. If impressing a foodie date is your goal, this one is a no brainer. The bar where a thousand memories are made and then quickly erased. 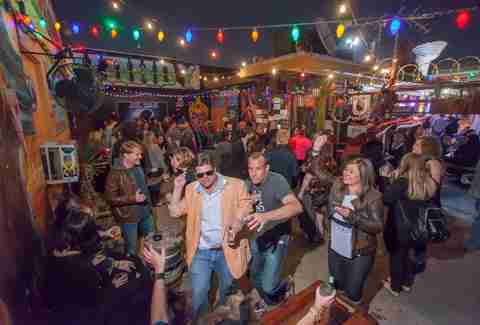 Doublewide serves as a gateway between Deep Ellum and Exposition Park. Whether you’re craving an ice-cold beer or one of their custom cocktails like the Yoohoo Yeehaw, grab a seat on one of the toilet seats in the courtyard and get ready for some good drinks and even better people watching. Also, how often will you get the chance to make out under a mural of Dolly Parton? 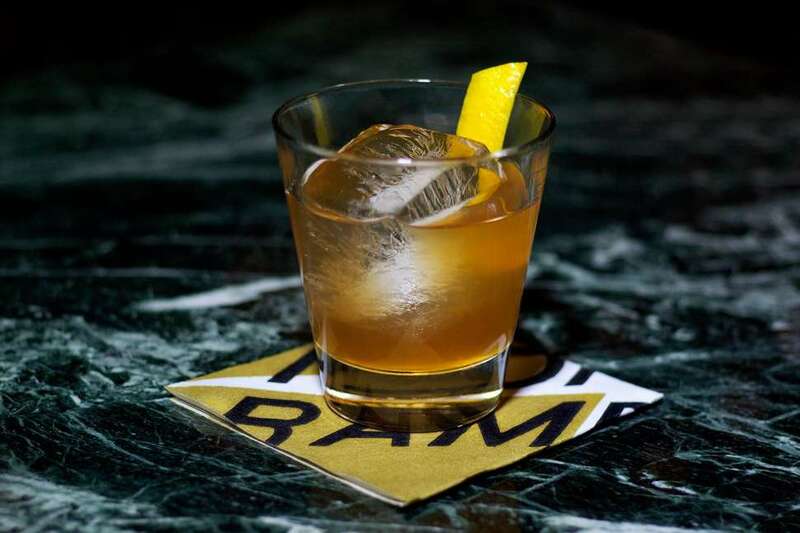 The newest addition to the Dallas bar scene and quite possibly the most anticipated is helmed by one of the city's best bartenders of the year Brad Bowen. A modest spot in a strip mall from the outside, this bar is the Tardis of drinking spots. 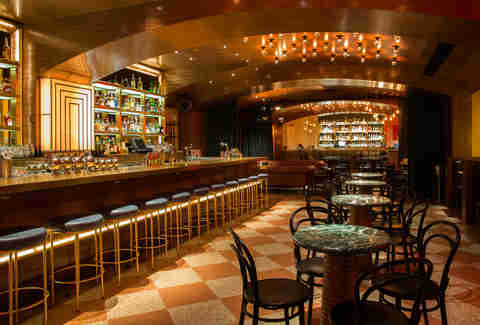 Inside, you’ll find warm and rich mid-century modern interiors and a comprehensive cocktail menu as well as specialties depending on the whims of the well-established bartenders. Located directly on the Katy Trail, this bar might as well be officially crowned as the king of Uptown. 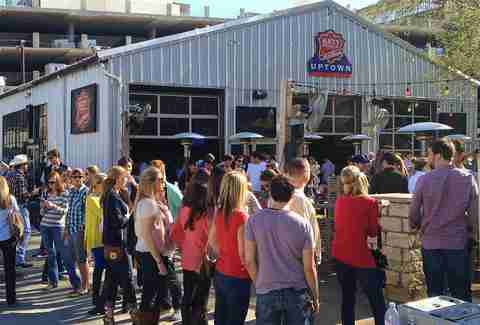 Whether you’re seeking a cold brew after a long run or meeting friends for some college football watching, the mostly outdoors Katy Trail Ice House has nearly 50 beers on draft, and all the outdoorsy Uptown types will be packed into Katy Trail’s patio. What is Wild Detectives? Is it a local bookstore? Is it a craft cocktail bar? Is it a live arts venue? The easy answer is that it’s all those things and more. Located in the heart of Bishop Arts District and boasting a cocktail menu which features Spanish inspired takes on American favorites. 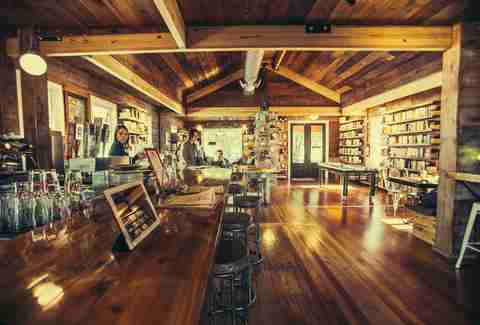 If spending your time having an intellectual discussion with the creative of Oak Cliff sounds like your scene, Wild Detectives is the spot to be. While Deep Ellum fills with ultra-lounges, bottle service clubs, and valet parking stands, Shoals Sound & Service offers up no-frills, high-quality classic cocktails and a mid-century modern air of cool. Nowhere else in Dallas can you have a gourmet bologna sandwich (trust us) while listening to Stax Records artists on vinyl. Downtown Dallas has plenty of glamorous options when it comes to New Year’s Eve but only one is located in the swanky confines of the Joule Hotel. DJs spin classic soul music and mod favorites on vinyl while bartenders mix up carefully crafted cocktails for the who’s who of Dallas. 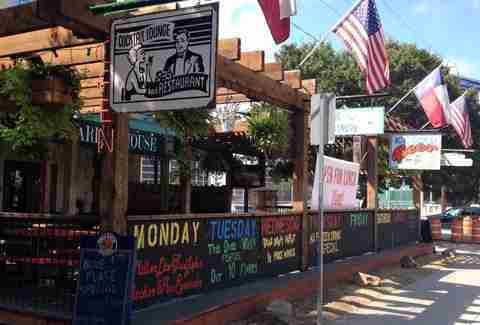 The diviest of dive bars in Dallas – in a good way! The dive bar upon which all other dive bars are based. 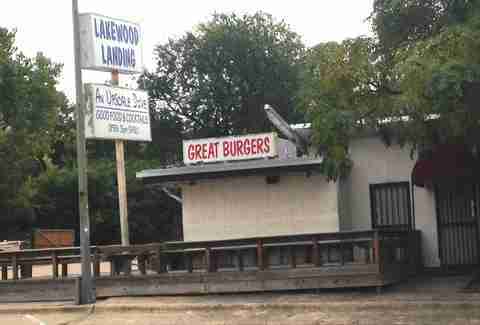 The Lakewood Landing is the place where bands are formed, handshake business deals are done and first kisses happen. 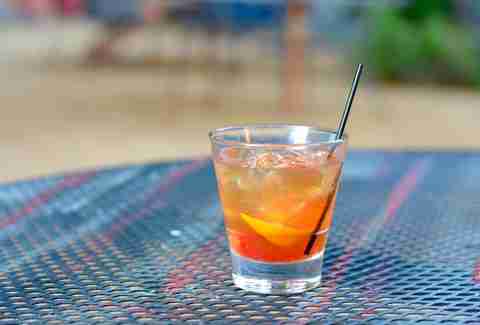 There is no pretense to the bar and likewise, their drinks are strong and simple. It may be the only bar in Dallas at which anyone is guaranteed to walk in a stranger and walk out with a half dozen new best friends. Everyone in Dallas is talking about the renovation and rebirth of the iconic Statler Hotel in downtown Dallas. Long vacant, it has been restored to all of its Mad Men-esque glory and is home to newly-opened Bourbon & Banter. 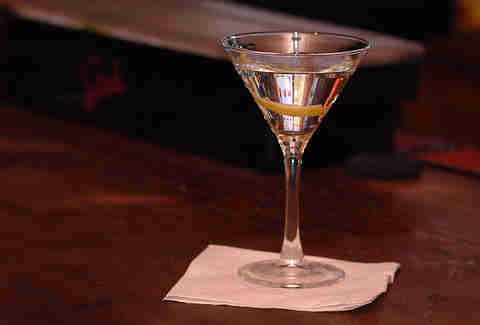 A speak-easy-themed cocktail lounge from two Dallas bar veterans, be sure to wear your sharpest Don Draper suit if you want to be a hit here.